The current study evaluates the demographic, clinical, and neurocognitive characteristics of a recruited FEP research sample, a research control group, and a FEP clinic sample that were assessed and treated within the same center and time period. This study utilized data collected through an observational study and a retrospective chart review. Samples were ascertained in the Longitudinal Assessment and Monitoring of Clinical Status and Brain Function in Adolescents and Adults study and the Prevention and Recovery in Early Psychosis clinic. FEP clinic patients (n = 77), FEP research participants (n = 44), and age-matched controls (n = 38) were assessed using the MATRICS consensus cognitive battery and global functioning social and role scales. Between-group differences were assessed via one-way ANOVA and Chi-square analyses. No significant differences were observed between groups with regard to age and gender. 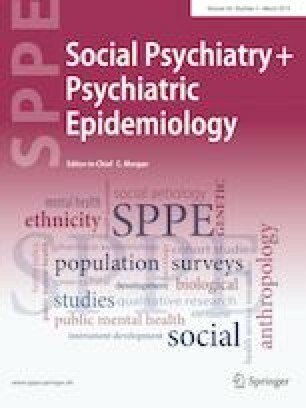 The FEP research sample had a higher proportion of white participants, better social and role functioning, and better neurocognitive performance when compared with the FEP clinical population. The clinic sample also had more diagnostic variability and higher prevalence of substance use disorders relative to the FEP research sample. Researchers should be aware of how study design and recruitment practices may impact the representativeness of samples, with particular concern for equal representation of racial minorities and patients with more severe illness. Studies should be designed to minimize burden to promote a wider range of participation. Some analyses included in this manuscript were first presented in poster format at the 2017 Department of Mental Health Research Centers of Excellence Conference in Boston, MA and at the 2017 Harvard Psychiatry Mysell Research Conference in Boston, MA. Drs. Robert W. McCarley and Larry J. Seidman are deceased. A comment to this article is available online at https://doi.org/10.1007/s00127-019-01686-x. This work was supported in part by the National Institutes of Health via grants R01 MH103831, P50MH080272, UO1 MH081928, R01MH103831, R01MH102377, 1S10RR023401,1S10RR019307, and 1S10RR023043; by the Massachusetts Department of Mental Health (SCDMH82101008006); by a VA Merit Award (MES); by the National Alliance for Research in Schizophrenia and Depression via the Distinguished Investigator Award (MES), and by a Clinical Translational Science Award UL1RR025758 and General Clinical Research Center Grant M01RR01032 to Harvard University and Beth Israel Deaconess Medical Center from the National Center for Research Resources. We also wish to acknowledge the patients and their families for working with us in PREP® as well as the many individuals who contributed to the PREP® program, including Cynthia Berkowitz, Brina Caplan, Margaret Guyer, Jude Leung, Thomas Monteleone, and Ginger Smith. We also thank the clinical, research assistant, and data management staff from the Boston CIDAR study, including Caitlin Bryant, Ann Cousins, Grace Francis, Molly Franz, Lauren Gibson, Anthony Giuliano, Andréa Gnong-Granato, Maria Hiraldo, Sarah Hornbach, Kristy Klein, Grace Min, Corin Pilo-Comtois, Janine Rodenhiser-Hill, Julia Schutt, Shannon Sorensen, Reka Szent-Imry, Alison Thomas, Lynda Tucker, Chelsea Wakeham, and Kristen Woodberry. All CIDAR participants provided informed consent prior to participating in the study. The use of de-identified data from the PREP® clinic for research has been approved by the Institutional Review Boards of Beth Israel Deaconess Medical Center and the Massachusetts Department of Mental Health.